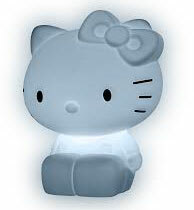 This is a Tiny Emergency Lamp for the Kid’s room to avoid the Panic situation during a power failure. It turns on a White LED instantly when the light in the room goes off due to power outage. It is too small in size, portable and battery operated. It can be enclosed in small plastic case. Its cost is Rs. 50 only including the battery. CD 4013 is a CMOS IC which can be used as a Toggle switch to On/Off a relay. It has two positive edge triggered D type Flip-Flops. When the clock input receives positive pulses, the output swings high/ low. In the circuit, the data input pin5 is connected to the Q output to use only one output in the toggle mode. Clock input can be from a 555 astable multivibrator or Crystal oscillator.